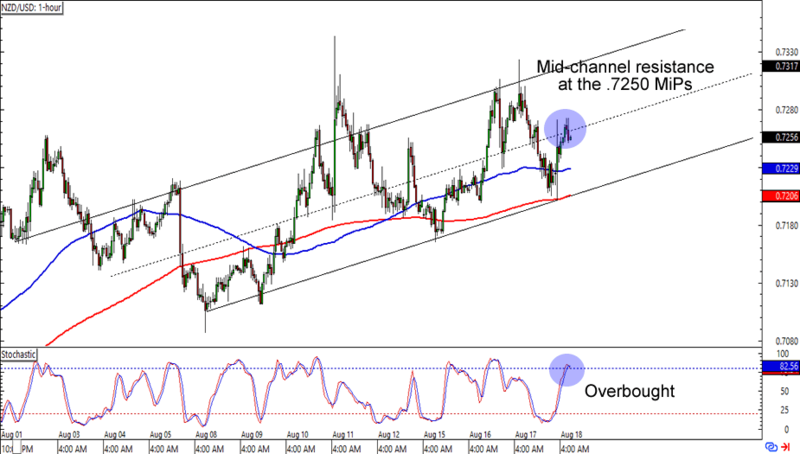 Here’s one for countertrend traders out there! NZD/USD is having trouble breaking above the .7250 mark, which is right smack at a mid-channel resistance on the 1-hour time frame. Not only that, but stochastic is also flashing an ovebought signal. 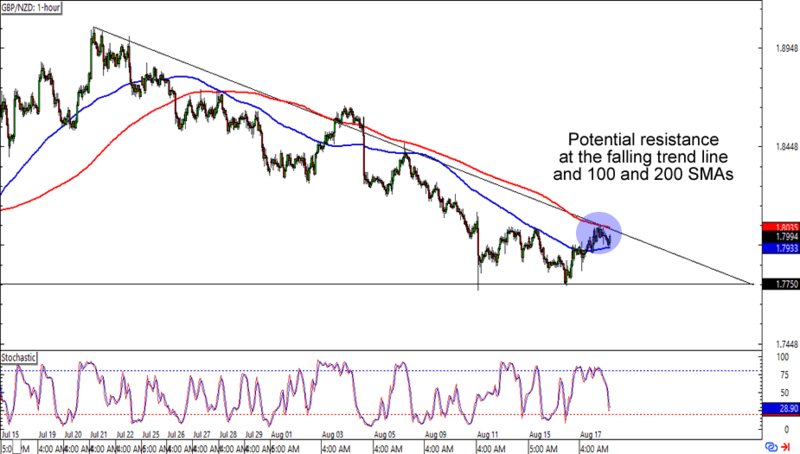 Shorting at current levels could make for a good trade if you think that Kiwi will go back down to the .7200 lows. On the other hand, you could also wait for a break above the consolidation and aim for the previous highs if you’re one of them Kiwi bulls. Here’s one for the trend surfers! GBP/NZD is stuck just below the 1.8000 handle, which isn’t surprising because the area lines up with a falling trend line AND the 100 and 200 SMAs. What makes this setup more interesting is that the downside move is limited to the 1.7750, a level that has served as support back in mid-July. 250 pips is nothing to sneeze at, though. Aiming for the support area could still get you a good reward-to-risk ratio especially if you place your stops just above the resistance levels that we’re looking at. Is that a bullish flag I see? EUR/USD is lollygagging at the 1.1300 major psychological handle after shooting higher earlier this week. If you’ve read the School of Pipsology, then you know that flags like this one tend to signal trend continuation. 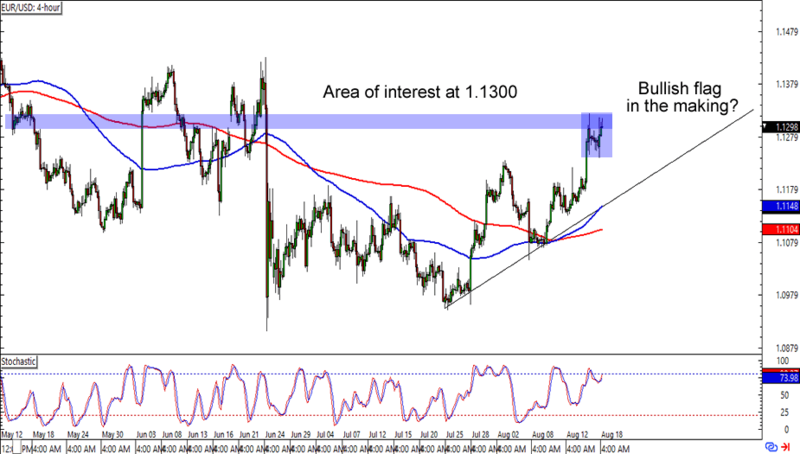 Be careful in buying though, the 1.1300 mark has been an area of interest for some time and could attract forex bears at the earliest sign of momentum.